The use of crack cocaine is on the rise in the United States, and no state has proven to be immune to the side effects. In fact, emergency medical facilities across the country report that in the treatment of substance use and abuse, a crack overdose is now second in frequency only to alcohol-related problems. If you have a loved one you fear is addicted and may overdose on crack, the ability to react quickly can mean the difference between life and death. As with any medical condition, catching the warning signs can help minimize the impact of a crack overdose. If you aren’t familiar with the warning signs of an overdose on crack, the information below can help you catch the situation before it’s too late. Crack cocaine is incredibly easy for users to overdose on because of the nature of the drug and its use. When abusing crack cocaine, individuals briefly experience intoxication that has a highly addictive nature. Because the intoxication provides a short, but intense, boost to the system it can lead to a significant health crisis as the user continually doses over an extended period of time to try to maintain that initial high. So, what are the signs you should watch for that point to an overdose on crack? The easiest way for you as a family member to spot these will come in changes to the average routine of your friend or loved one. If they suddenly start missing family events, social gatherings, or work and exhibit these warning signs, they may be on the verge of a crack overdose. Respiration rate: again, individuals may initially experience increased, rapid respiration rates followed by a significant decrease with serious complications. In the event of these more extreme warning signs of a crack overdose, it is imperative to contact medical professionals immediately. Emergency medical facilities are the best place to seek assistance in the event of these severe medical warning signs of an overdose on crack, but afterward you should heed these warning signs and seek qualified crack addiction treatment facilities. 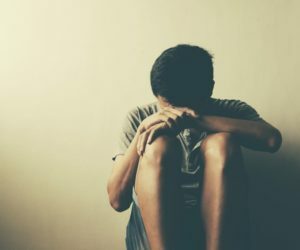 If you’ve been struggling to overcome your addiction to crack or have a family member who has been pushed to the brink by an overdose on crack, White Sands Fort Myers can help. Our beautiful facility on Florida’s Gulf Coast has a warm, welcoming staff of addiction specializes and our own team of board-certified doctors, psychiatrists, nurses, and counselors to help guide you or your loved one to a life beyond a crack overdose. Recovery is possible with help from dedicated professionals.